Dual-service interchange, durable rails, and personalized service — we keep your product moving. From ‘rail to truck’ and ‘truck to rail’ — we have you covered for all your point-to-point transloading needs. Dependable, high quality, tailored solutions — we work with you one-on-one to to create a solution that fits your needs. Personalized shipping experiences through integrated rail transport solutions. We partner with you to achieve a seamless flow of product to meet your rail terminalling objectives. We grow with you by continuing to expand our rail and road infrastructure to scale with our customers. 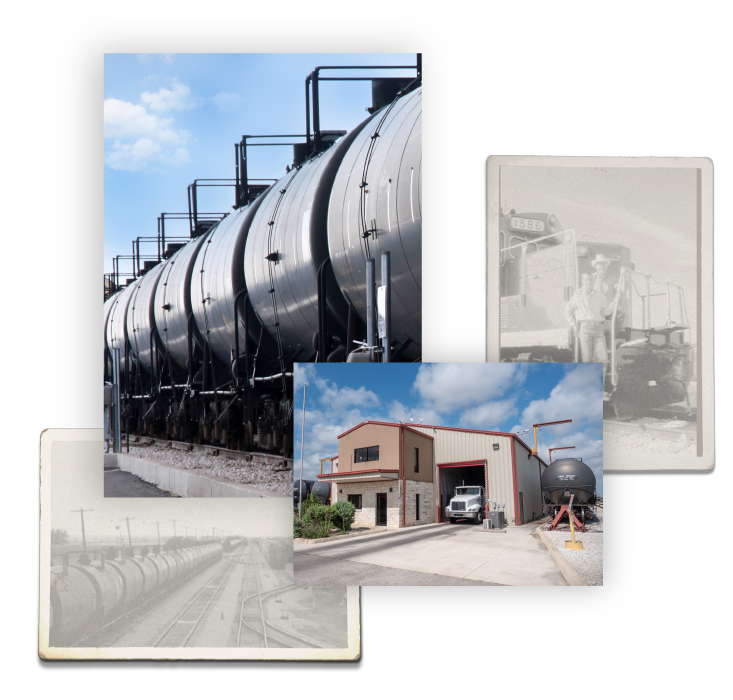 We were “transloaders” before we were “railroaders”, so If your product can be loaded into or out of a railcar—Hondo Railway can help. We offer customized transloading and terminal services to fit your needs. Our affiliated companies can handle most ‘rail to truck’ and ‘truck to rail’ transloading in the HRR railyard. 176-acres of centrally located, securely patrolled railyard.